The availability of today's new technologies and audio devices makes it quite possible to hear recordings of your favorite poets. It's also possible--thanks to sites like YouTube--to view poets giving readings. Still, leading young literary poets are rarely known for their live presentations and audio recordings. That was not the case during the black arts era. Amiri Baraka, Jayne Cortez, Sonia Sanchez, and Nikki Giovanni, to name four prominent figures, gained or solidified their popularity based on their performances and collaborations with musicians. 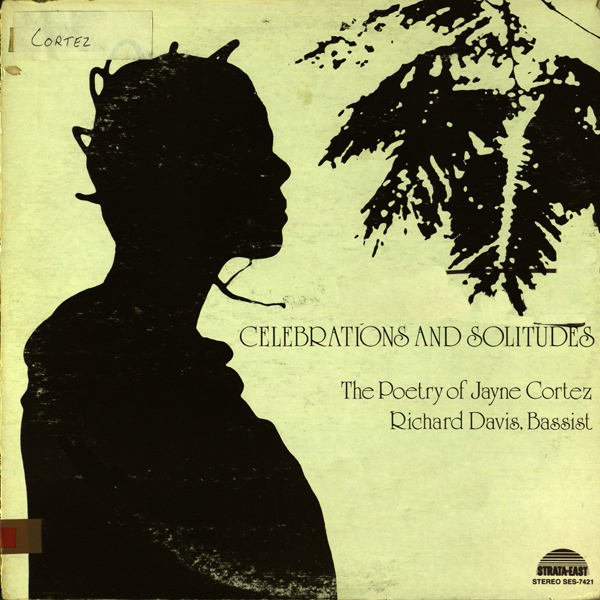 Before Baraka's poem "Black Art" circulated widely in print, the piece had appeared as an audio recording with accompaniment from musicians Albert Ayler, Sonny Murray, Don Cherry, Henry Grimes, and Lewis Worrell. Nikki Giovanni produced recordings reading poetry, including album Truth Is On Its Way where she performed with a gospel choir. Sonia Sanchez distinguished herself as a talented performer of verse, and she produced audio recordings as well. Broadside Press coordinated the production of audio recordings by several poets, including Gwendolyn Brooks, James Emanuel, Etheridge Knight, Haki Madhubuti, Dudley Randall, Margaret Walker, and Marvin X. Overall, the production of so many audio recordings of black poets reading their works with a common imprint and in so many interrelated venues was remarkable. The prevalence of audio recordings and live performances, both of which often included collaborations with musicians, revealed how poets of the black arts era tested, if not stretched, the limits of literature. The SIUE library has Eugene Redmond's 1973 recording "Blood links and sacred places" on CD, available for checkout. It's a live recording of Redmond saying/performing his poetry with musical accompaniment, mainly percussion & saxophone. The audience response, especially to "All athighed in black" is pretty enthusiastic.